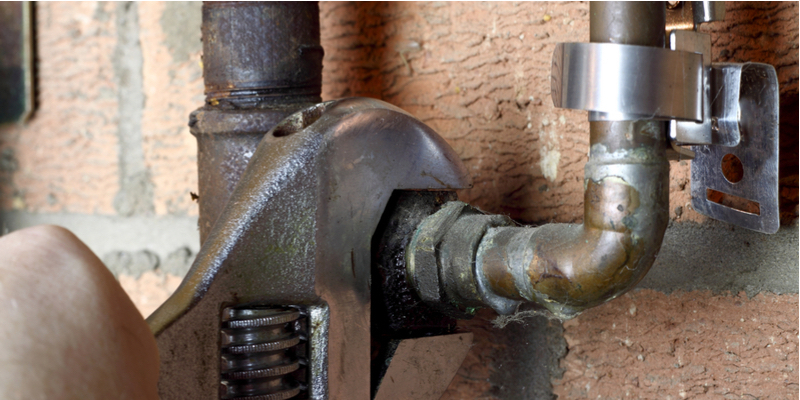 Home > Gas > What is an Earthquake Shut-off Valve? Did you know that as of 2000, all newly constructed buildings in California must install earthquake shut-off valves? Local law enforcement agencies enforce them as a standard when issuing building permits. Despite the fact that earthquake shut-off valves could save your life, however, many Californians don’t know what they are. Every building that’s connected to gas in California should have an earthquake shut-off valve. That means pretty much every Californian should know how they work. Here are the important things to know about earthquake shut-off valves, including how to get one for your home. 1. Seismic Natural Gas Shut-off Valve: These valves trigger when they detect an earthquake of magnitude 5.1 or higher. 2. Excess-flow Valve: These valves trigger when they sense a gas leak or overpressure surge somewhere in your gas line. Why Are Earthquake Shut-off Valves Important? Powerful earthquakes can instantly break gas pipes, leading to extremely dangerous gas leaks. Gas leaks are particularly dangerous inside structures, where the gas gets trapped and builds up. Trapped gas is highly flammable and dangerous. On top of triggering the gas leak itself, earthquakes also often create situations where gas may easily ignite. If earthquakes start a fire and that fire contacts gas inside a structure, it could trigger an explosion. 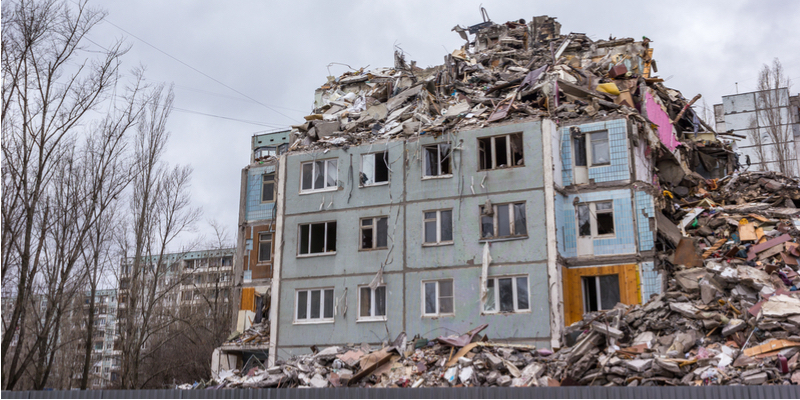 The worst damage earthquakes inflict often happen because of gas leaks. The most damage inflicted during the Great San Francisco Fire of 1906 happened because of gas leaks that ignited. Earthquake valves protect your home from earthquake-related gas leaks and the fires they cause. After an earthquake, you simply reset the valve after checking to make sure your gas lines aren’t damaged. If the lines were damaged, the valve makes sure gas doesn’t enter your home until they’re fixed. How Do Earthquake Shut-off Valves Work? They’re surprisingly simple! 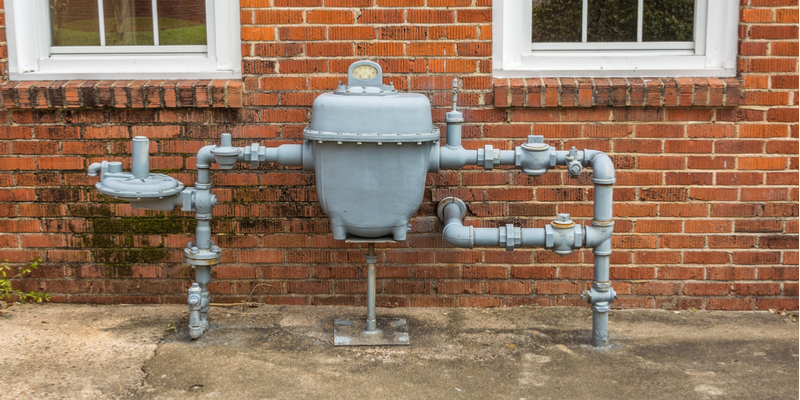 The valve is installed onto your gas meter where the meter connects to your home’s gas pipes. You could think of the valve as a kind of threshold between your gas supply and your home. Normally, gas passes through this threshold like it would pass through any other part of the pipe. In the event of an earthquake, however, the valve closes this threshold, restricting gas flow into your home. Inside the valve, there’s a metal ball suspended on a ring above the passage gas travels through. In the event of an earthquake, the shaking dislodges this metal ball from its perch. It falls down into the passage beneath it and blocks gas flow. Until you reset the valve, gas can’t enter your pipes and get into your home. When you reset the valve, all you’re doing is moving the metal ball back into its original position. How Are Earthquake Shut-off Valves Installed? Earthquake valves are unobtrusive and quite simple to install. First, we’ll turn off the gas supply to your home temporarily. This is necessary because we’re opening the supply pipes to connect the valve to them. Next, we’ll disconnect your home’s supply pipes from the gas meter. Depending on how your system works, we may rotate or remove segments of pipe. This will make room for the shut-off valve device to fit between your supply pipes and your meter. After making room, we affix the valve directly to the “end” of your supply box. The valve compartment itself looks either like a small box or like a cylinder. It’ll usually be a different color to make it more easily distinguishable from the rest of the pipe. Finally, we’ll attach the valve to the home pipes themselves. Once the valve is fully attached, we’ll test it a few times to make sure it’s working. We’ll also show you how to reset it. When Can I Have an Earthquake Shut-off Valve Installed? Right away! Earthquake shut-off valves are quick and easy to install. All you have to do is call Mike Diamond any time. Our technicians are certified to install earthquake shut-off valves under the regulations of the California Public Utilities Commission. We can guarantee we’ll install your shut-off valve correctly, and that it will do its job properly. If you want an earthquake shut-off valve, call today! We’ll work out a convenient time to come install it. If you’re not sure you need an earthquake shut-off valve, you could also schedule an inspection. Our technicians will check over 22 areas throughout your home and make sure your gas line is safe. We’ll also tell you if you need an earthquake shut-off valve and how we can install one for you. If you think you need an earthquake shut-off valve, don’t wait; call Mike Diamond today. We’ll install your valve quickly and effectively, so you can rest assured your home stays safe.